Have you considered how much of your life is on your computer? Photos, emails, music, financial records, documents, and so much more. How would you feel if you woke up tomorrow and it had all disappeared? Every year over 40% of computer users lose irreplaceable files. 1 in 8 of hard drives crash. 50,000 laptops are stolen each year in Australia, that is one every 10 minutes! Dangers lurk around every corner, accidental damage, power surges, natural disasters, or accidentally deleting your own files. Losing your most valuable files is a very real possibility. You need to take proper precautions. Your computer is filled with irreplaceable files: Microsoft Office documents (Word and Excel), emails, photos, music, business contacts and financials (including MYOB and Quicken files). Waterfronts Cloud Drive solution works using Google Drive technology and automatically and securely syncs all of the irreplaceable contents of your computer to Google’s data centre for only $15 per month for a massive 10GB of data. Waterfront Networks will install Google Drive on your computer that works quietly in the background syncing your files to the cloud. It looks and feels like part of your computer, and is integrated with your desktop, so there is nothing new to learn. 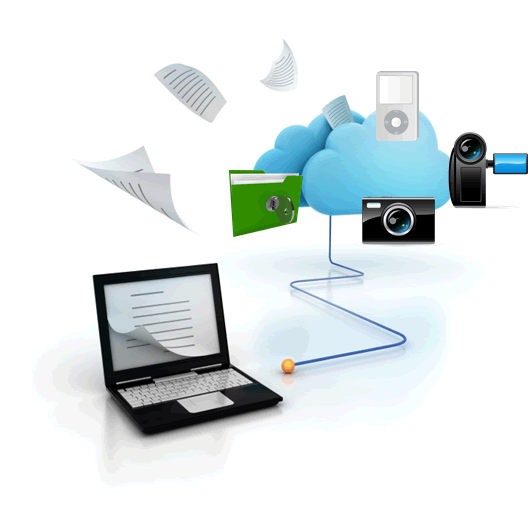 You simply bring your computer into our shop and we will install the program and begin uploading and syncing all your data to our cloud file servers. Waterfront Drive is everywhere you are—on the web, in your home, at the office and on the go. So wherever you are, your stuff is just…there. Ready to go, ready to share. Things happen. Your phone goes for a swim. Your laptop takes an infinite snooze. No matter what happens to your devices, your files are safely stored in Waterfront Drive. For further information please click here to email your interest or call 5952 3312 or come in and see us.